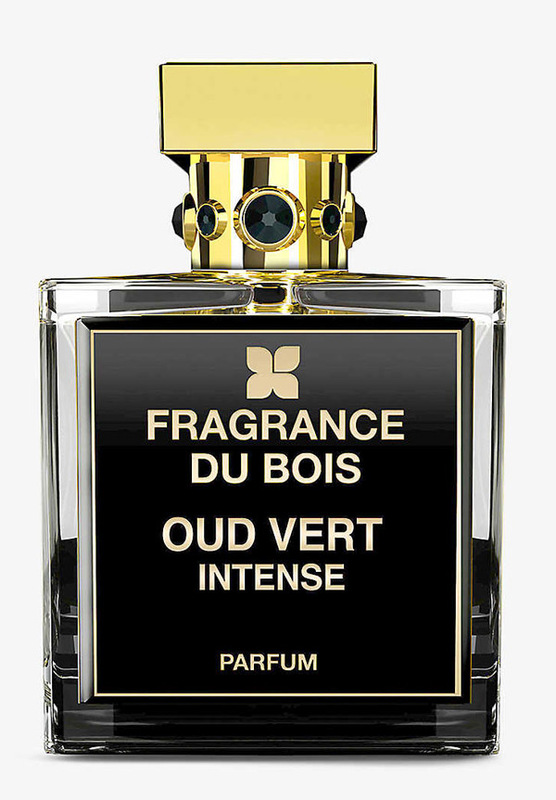 Oud Vert Intense is a shared / unisex perfume by Fragrance Du Bois. There are 2 reviews of Oud Vert Intense. Very nice aromatic offering from Fragrance du Bois. From the beginning, Oud Vert Intense hits me with my favorite combo of bergamot and ginger, shined up with gorgeous cardamom mentholation. I really enjoy the rosy geranium floral touch with spices (yummy nutmeg and zippy coriander seed) plus warm, earthy vetiver that are a unique direction in this oud scent. It lasted a long time on my skin, and projection was about moderate - more than skin scent level. Oud is nestled snugly inside with wisps of smokiness, but not invisible...good, because it's ultimately not another non-oud oud fragrance. I like this! It is a part of the 'oud' series, though there's not much oud in it. This is the freshest among the lot I tried. While the others are typical orientals with rose, amber, etc, this fragrance has a focus on bergamot-spices and geranium/vetiver. There might be a bit of oud showing up at the end, but minuscule on my skin. After a very pleasant bergamot/vetiver opening, this blends in with spices such as cardamom and coriander seeds. Quite masculine, I would think. It lasts rather a long time and the sillage is medium. Tried it in Bangkok in the Intercontinental arcade. They told me the oud is harvested sustainably in Thailand. There are no member images of Oud Vert Intense yet. Why not be the first?